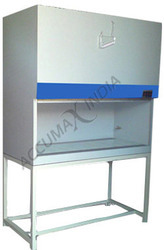 We are offering Laminar Airflow Cabinets to our client. - The variants (models) of Laminar Air Flow Chamber are available in Stainless Steel, Electro-galvanized Steel or wood covering all applications. Switches : Microprocessor based Touch Panel for blower, LED light & UV light. (UV light with Timer) & Motorized front door of toughen glass. Pre-filter : 99.00% down to 5 micron. We are providing our customers an excellent quality range of Laminar Air Flows. 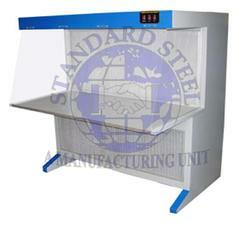 The Laminar Air Flow are manufactured using stainless steel without any joints or gaps. These are widely appreciated by our customers for its quality. These are precision engineered by the team of experts. - Better sun mica & plywood duly varnished & painted Excellent wooden & castor wheel for easy movement. - Silent Air Blower unique design of circulation for uniform air movement. - A Horizontal uni flow clean bench has an open work table featuring a reliable & easy control.